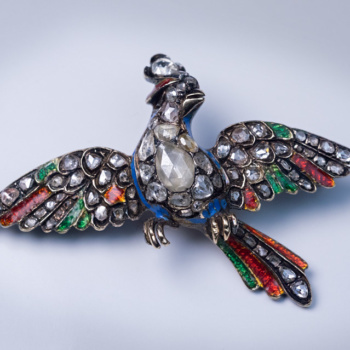 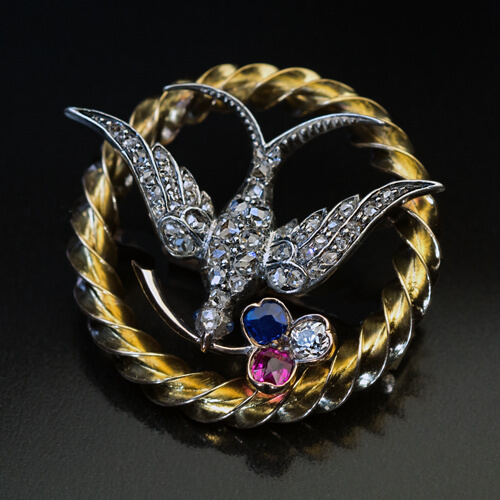 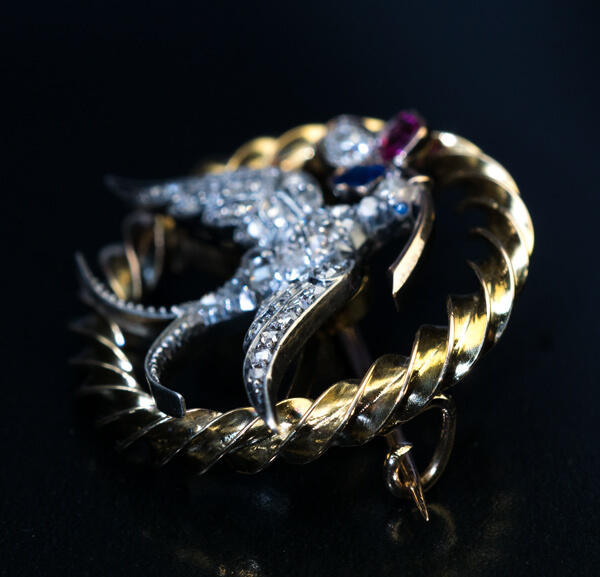 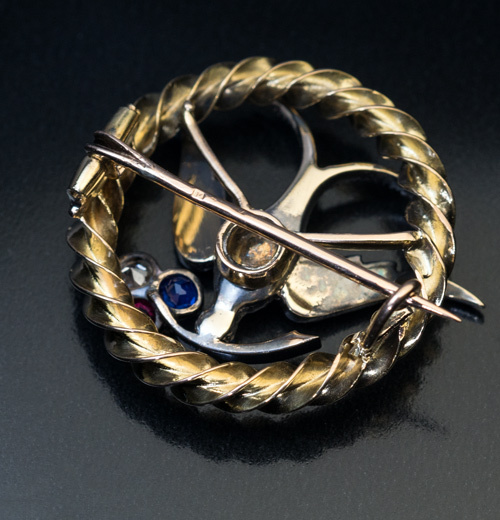 An antique 14K gold brooch with a round twist frame is mounted with a flying silver bird carrying a flower. 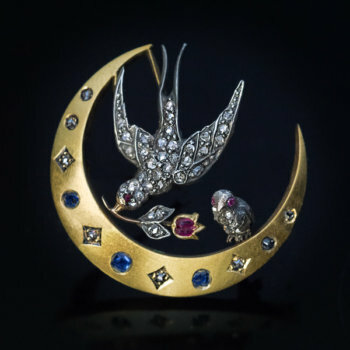 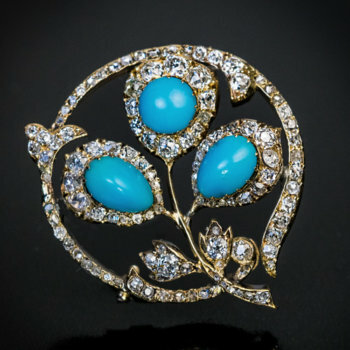 The bird is densely set with numerous rose cut diamonds. 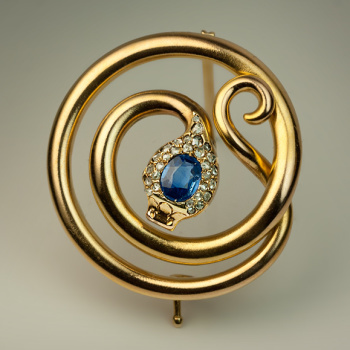 The eyes of the bird are set with tiny cabochon cut sapphires. 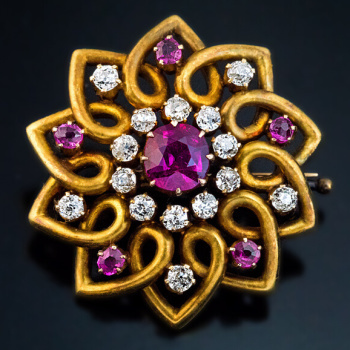 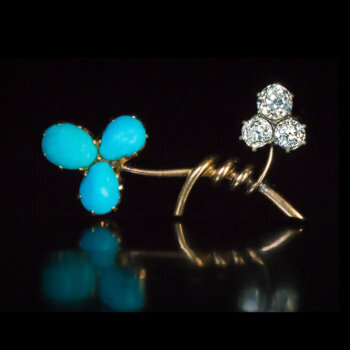 The gold flower is embellished with an old mine cut diamond, and pink and blue spinels. 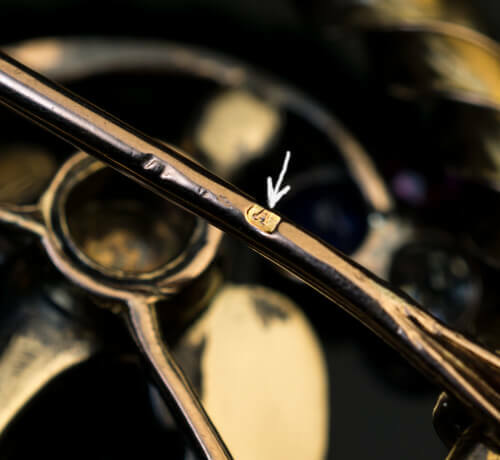 The pin is marked with letter ‘A’ for Vienna.